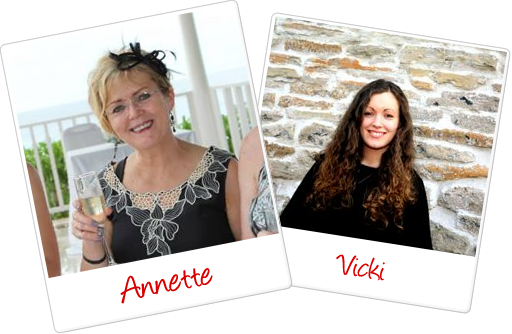 We are Annette and Vicki (Mum and Daughter) from behind the scenes at Minerva Crafts. This is our little space on the web to share with you are things crafty and all things Minerva! In our day-to-day jobs at Minerva we are constantly surrounded by products, people and ideas that inspire us. We hope to share some of that with you and hopefully inspire you too. Our personal craft projects. Between the two of us we always have several projects on the go. Our favourite crafts are sewing, knitting, crochet and embroidery, but we love to try new things and are really keen to learn felting and quilting in more depth soon! Product reviews. At Minerva we are always getting new products in every week. For us its like being a child in a sweet shop and we love trying all these new products to share with you our honest opinions. We also have some fantastic relationships with bloggers all over the world who often test products for us so we can get their honest opinions. It is really important to us that we stock the right products that our customers will love and this feedback is crucial. We will be sharing these product reviews with you so you can see how different products work and the pros and cons of each one. Pattern Testing. As Minerva Crafts has grown over the last few years we are often asked to test patterns by indie sewing pattern companies as a way of testing the pattern and instructions before they go in to print. We love to take part in this as we get to be one of the first to try out new exciting sewing patterns and pass our experiences on to you. Knit and Sew-alongs. This is a new area for us that we are really excited about. We hope to host some exciting sew and knit alongs over the next year so that everyone at home can join with us on our projects and then we can all share pictures of our final projects at the end. We hope you will join in with us! Designer Spotlight. We have so many talented customers and we love to celebrate your creativity and crafting acheivements. Every month or so we will be showcasing a selection of projects made by our customers to share with you so you can see what others have been making. If you have some lovely photos of your creations please get in touch and we will share your projects here on the blog. Events & Social. This is a space for us to share with you crafty events and exciting ventures that are happining in the crafting world. If you have a craft event you are organising and would like to share this here on the blog please do get in touch. Free Patterns. Everyone loves a free pattern! Whether it be a sewing patterns, a knitting or crochet pattern, a quilting pattern or even a papercraft pattern, we will be gathering the best sources from around the web and bringing them in one space to share with you here. Press. At Minerva Crafts we are always open to working with creative individuals and the press by working together in various creative ways. We will be sharing some of these experiences and projects with you here on the blog. Q&A's. There are so many inspirational people in the crafting world right now. We have been really fortunate to get to know and work with so many creative individuals and companies over the last few years. We love to chat to fellow crafters and this is a space for us to share some of that with you in the form of Q&A's. We hope you enjoy learning a bit more about our favourite people. Special Offers. Whenever we have a special offer or discount promotion on our products we will put a quick post on the blog to let you know so you dont miss out on deals that are of interest to you! New Products. At Minerva Crafts we have new products arriving all the time - sometimes every day. Here on the blog we will both be selecting some of our favourite new products and showcasing them here on the blog for you to see. Most of them will probably make their way into the projects section when we decide on what to make with them! And more. We have so many ideas for this blog and probably 101 things we have forgotten to mention here. We hope this blog will become an inspirational space that you want to re-visit again and again to see what we have been up to. And please get in touch - we always love to hear from our customers all over the world who very rarely we ever meet in person, so its lovely to do the next best thing and chat with you here! You can leave us a comment on any of our posts or get in touch on our social media channels.